Steep hills can be one of the trickiest obstacles you’re likely to encounter while driving off-road. Not only have you got a gradient to contend with, but gravity is also working against you. It just doesn’t seem fair. However, science is on your side – when attempting the climb for the first time, consider the proven formula for success: A successful climb = the correct route + sufficient traction + sufficient momentum. 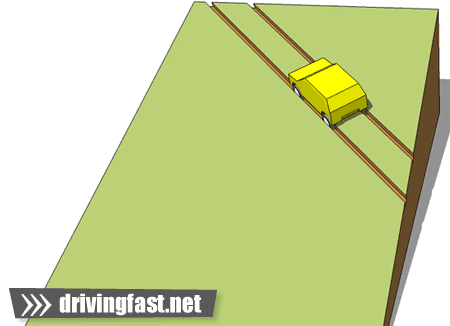 However, if you’re driving in a rutted track it can be best to stick to the exiting route. 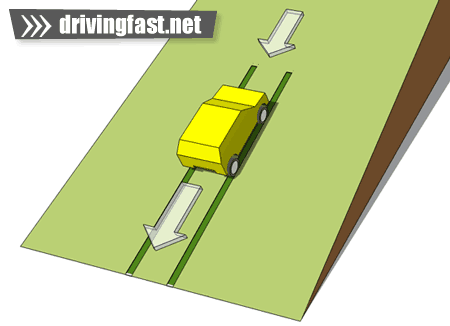 If your wheels are positioned in the ruts it’s very unlikely that a sideways slide will occur. 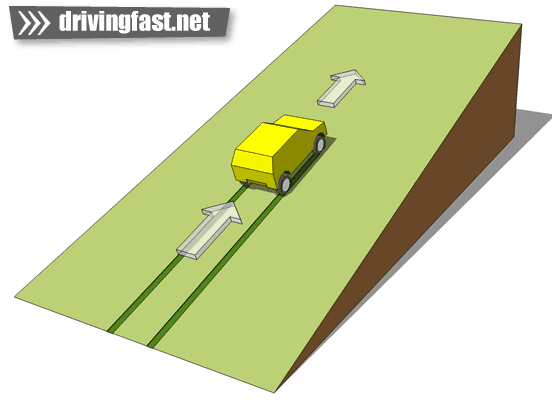 Diagram 2: If you’re driving in a rutted track, sliding sideways if unlikely so it’s best to stick in the ruts. Recce the route on foot – ensure it’s safe to climb, and consider the consequences if you fail half way up. The less grip there is available, the shallower the angle you’ll be able to tackle. Once you’re back in the car, hold the car stationary on the foot brake. This acts on all four wheels, and has power assistance, unlike the handbrake which tends to act on the rear wheels only. Progressively release the clutch and do a test run – attempt to climb a few meters of the hill to determine how slippery it is. If you’re getting a lot of wheelspin then you’ll need a fair amount of momentum to complete the climb. If it’s too slippery, perhaps now is the time to find an alternative route. If there is sufficient grip, attempt the climb using a run on the flat is necessary. Be prepared to recover from failure (technique described below). Lack of grip – if there isn’t enough friction available between the tyre and the ground surface to get you to the top, you’re going to need more momentum. More speed, however means more danger so make sure you’re confident about your decision. Lack of momentum – if you fail to get to to the top due to a lack of momentum, you’re likely to stall or simply run out of steam and may even stall the engine. If you do stall, don’t panic and hit the clutch, but follow the guide to recovery shown below. If the slope if so slippery that the wheels are locking due to engine braking – you may need to gently apply some throttle to regain traction, then release the throttle gently to re-establish braking. Check to see if anyone noticed – this could be embarrassing! 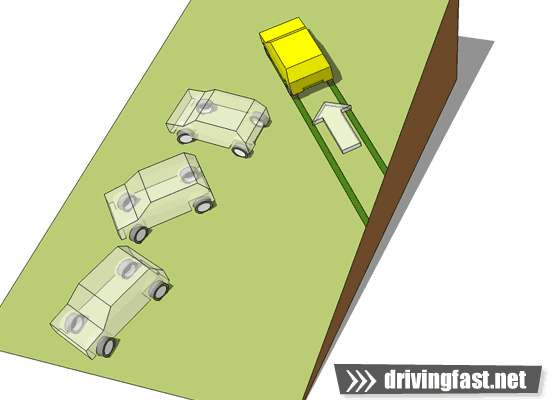 Avoid using the brakes and reverse down the hill using engine braking for another attempt.